The second Belt and Road Global Young Scholars Seminar opened on April 16 in Ningbo. Ningbo Free Trade Zone (FTZ) witnessed strong growth in cross-border e-commerce imports in the first quarter of the year. 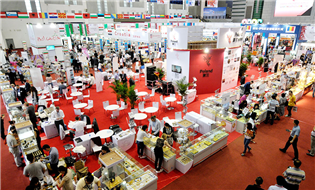 The fourth China (Ningbo) Cultural Industry Fair was held in Ningbo from April 12 to 14. China's first intelligent "super expressway", which is both safer and more efficient than conventional highways, will soon begin construction in East China's Zhejiang province, local media reported on April 8. Ningbo recently established friendly ties with the city of Duque de Caxias in Brazil. Ningbo is frequently mentioned in Dubrovnik Guidelines for Cooperation between China and Central and Eastern European Countries.